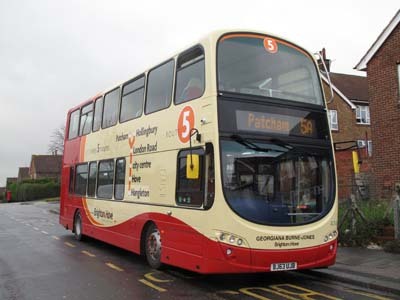 Connections with Brighton and Hove : Georgiana was a member of the well-connected Macdonald family in Birmingham when she was born in 1840. She fell in love with the artist Edward Burne-Jones and married him in 1860. He became one of Britain's leading painters and was made a baronet. Always known as Georgie, she took art lessons and became adept at illustration herself. The couple bought Prospect House in Rottingdean as their holiday home in 1880 and later combined it with the cottage next door to form North End House. Georgie loved her new country house and garden but her husband preferred the Grange, their large home in Fulham. 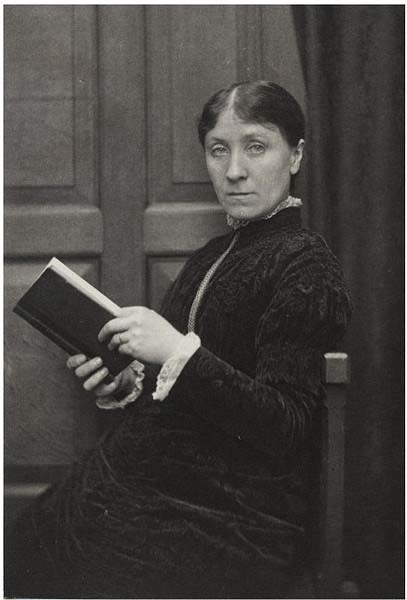 She won a seat on Rottingdean parish council in 1895, backing the working class and taking up women's issues. Burne-Jones died in 1898 and a memorial service was held at Westminster Abbey. Georgie wrote his biography. When news of the declaration of peace of the Boer War in 1902, she hung a banner at North End House reading "We have killed and also take possession". Her nephew, Rudyard Kipling, went to her home to make sure she was not attacked by irate villagers. She died in 1920, just days before her death Georgiana proposed the funding of a local hospital bed as a way of marking the loss of life of Rottingdean villagers in the First World War. 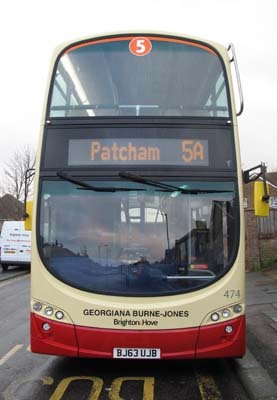 474 Volvo Gemini - carried name since delivery in November 2013 on Route 5.